Which are the key antibody companies to watch? Last week we released our annual update on the global antibody supplier market, outlining those companies that have recently entered or neared the top ten, and have grown their share of the global market by over one per cent in the last year. Today we address another interesting part of this dataset – the companies that are still modest in size but have an interesting growth trajectory that might suggest they’ll be the challengers of the near future. 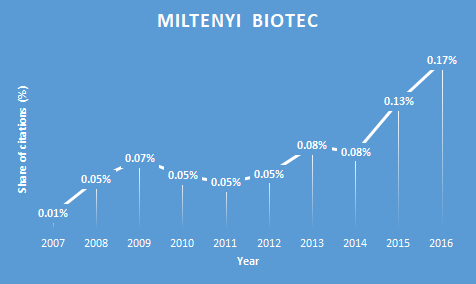 Another company that we picked out of the more than 100 in the report is Miletenyi, founded in 1989 by Stefan Miltenyi. The company now has over 1000 employees, and has diversified its product offering from its initial focus on the magnetic cell separation invented by its founder. Finally, OriGene, founded in 1996, stands out. As with Miltenyi, this is a company that has a lot of experience in other reagent types and is making good headway into the antibody market. 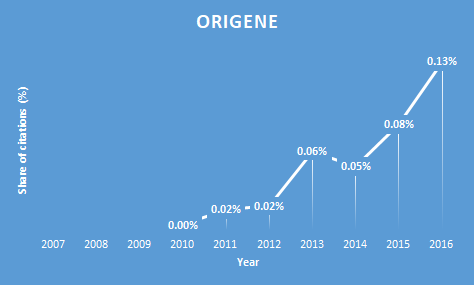 OriGene now has over 50,000 primary antibodies and a number of brands. These include UltraMab antibodies which are tested on high density protein arrays, and TruMab which are mouse monoclonals raised using full length human proteins as antigens. 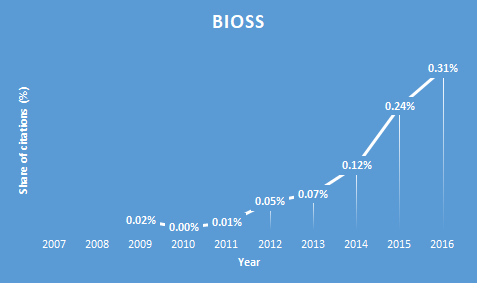 The company’s share of the antibody market is modest but it continues to grow steadily, making it a real candidate as a future top-ten challenger. If you would like to stay informed about all of our latest market data, sign up below to receive alerts. You can also [contact our team] to discuss a quote for the full supplier share dataset, or any custom data you might be interested in.